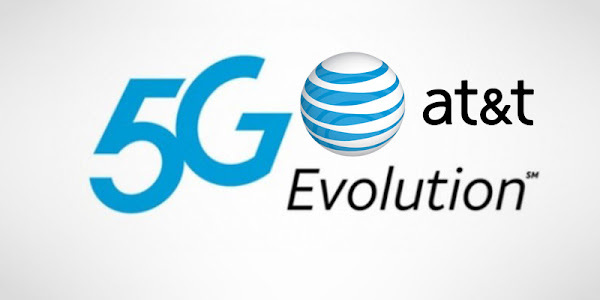 AT&T 5G Evolution was launched about a year ago, offering speeds twice as fast as its regular 4G LTE network. It's important to point out that despite its faster speeds, this isn't real 5G, its just a marketing team AT&T is using to promote what they are working towards. Yesterday, AT&T announced that it has launched 5G Evolution in 117 new markets bringing the total to 141. AT&T states that this service can deliver theoretical speeds as fast as 400Mbps (actual speeds will vary). By the end of the year, AT&T plans on having 5G Evolution available in 500 markets including parts of cities like Baltimore; Charlotte, N.C.; Cleveland; Denver; Detroit; Jacksonville, Fla.; Kansas City; Las Vegas; New York City; Philadelphia; Portland; Raleigh; Salt Lake City; Seattle; and Washington, D.C. Some of the major markets that currently have the service include Atlanta, Chicago, Memphis, Nashville and San Diego. AT&T has also started offering LTE-LAA (Licensed Assisted Access) in three new markets, Boston, Sacramento and McAllen, Texas. Previously, LTE-LAA was launched in Chicago's Loop, near Lucas Oil Stadium in Indianapolis, the Financial District in San Francisco and downtown Los Angeles. This wireless service uses carrier aggregation in the downlink to combine unlicensed LTE spectrum (5GHz) with LTE in licensed bands. Those AT&T subscribers with a newer compatible smartphone, living in an area serviced by AT&T's LTE-LAA network, can enjoy theoretical speeds of up to 1Gbps (actual speeds will vary). As of now the Samsung Galaxy S8, Samsung Galaxy S8+, Samsung Galaxy Note 8, Samsung Galaxy S9, Samsung Galaxy S9+, LG V30 and the Motorola Moto Z2 Force will support AT&T 5G Evolution and LTE-LAA. Later this year, AT&T plans on introducing real 5G service using mmWave spectrum bands in cities like Dallas, Atlanta and Waco, Texas. 5G field trials have produced speeds approaching 1Gbps.